It is a time of magic. wings against an Indian summer sun. It is a time of magic when the bulls of autumn come. From Laugh Kills Lonesome & Other Poems (Buglin’ Bull Press, 1990). Mike Logan grew up in Kansas but adopted Montana as his home state in 1968 and remains there today. A high school teacher for 25 years, Mike retired in 1991. A passion for trout fishing led him to a new career as a wildlife photographer; a companion career writing cowboy poetry evolved soon after. 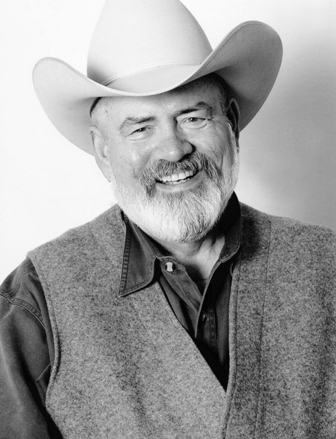 Author of numerous books and recognized in 2006 as the Will Rogers Male Cowboy Poet of the Year, Mike appears on TV and travels the country sharing his enthusiasm and creative interpretations of life in the West. "Autumn's alchemy"--the melting into gold. What a beautiful image. Me, too. I love the image of autumn "melting into gold." Brevity is the soul of more than humor. Deft.